This month many of us will celebrate St. Valentine’s feast. Since dealing with partnership and love can be especially poignant this month, my editors and I thought a discussion of loss and grief might be useful for those who have loved and lost. I personally experience grief from a loss of any kind – whether it is a loss through divorce, job, or death. We’ve all had someone close to us die; sometimes it is sudden, like the automobile accident that took my beloved sister from us prematurely, leaving three daughters and a husband behind. Then there’s the loss of someone elderly, who lived a full and good life, like my mom who passed after a long and good life. Sometimes you experience multiple losses in a year, and you are facing a greater grief than you would have with a single loss, taking you to the deepest parts of your psyche if you will let yourself go there. Then there is the loss of those that we love and admire – mentors like Bob Friedman (who just passed last month from a rare brain disease) who founded many publishing companies, including Hampton Roads with his friend, Frank DeMarco, and where he had gone out on a limb to publish the now famous Conversations with God. After Hampton Roads was absorbed by Red Wheel/Weiser, Bob went on to found Rainbow Ridge. 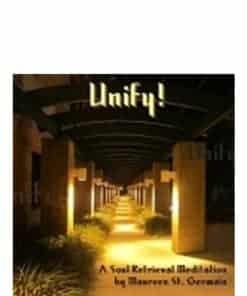 He continued to publish Neale Donald Walsch’s work under the new banner, as well as a book of mine. Earlier this year, the original founder and owner of The Echo World, Jim Ward, passed. He had been a dear friend and mentor, like Bob was, to the current owners, Sofia and Michael, as well. He was beloved in the community and his passing was a huge loss. The story of publishing the book Conversations with God is such a sweet one! Neale’s wife at the time had urged him to send the book to publishers for a review. He had insisted the “conversations” were for him alone. He finally struck a deal with his persistent wife to send to five publishers and no more. If it wasn’t accepted by anyone, then that was the end of it. At the time there were at least five publishing houses that were publishing this kind of book. Neale received the standard rejection letter from Hampton Roads that said, “We don’t publish that kind of book.” Now Neale was mad, and sent the manuscript back, saying, “Yes, you do!” The manuscript was sitting on Bob’s desk this time, and his teenage son came into his office and noticed the manuscript, asking if he could borrow it. He said, “Dad, this is the same title of an essay that I wrote for class yesterday!” The following day, his son came back and said, “I’m not leaving your office until you promise you will publish this book.” He told me this story personally – many years ago. This is the kind of man Bob was. Today his son has taken over the business. How do we deal with grief? So many grievers and professionals turn to the five stages of grief. I used to do that, too. It certainly is true while experiencing the loss of a job! As I began to prepare for this article, reviewing the literature since Elizabeth Kubler Ross wrote her book, I realize many therapists had concluded that her findings were generalized and not universal, nor a true scientific study. This means that the stages and their timelines are not valid, and you needn’t judge yourself or others for not processing your feelings in the suggested order or timelines. miss the relationship you had and feel lonely or abandoned. wonder if there is something wrong with you – because you still cry – when you think or talk about it, months or years later. never get over it, although you will start to adjust on your own terms. The loss of anyone close takes years to adjust to. have periods of deep grief and nostalgia – caused by anything that brings back the memories – a song, a scent a location. These triggers open the portal to the time and place they were with you. You can easily tap into your connection, and then feel the loss while moving into another layer of grief. Certain music can also heal these losses. In 5D you know and feel your loved one has simply moved into another expanded expression – and that you can still be connected. Your own connection to the Divine assists and motivates you in your process. When someone asks about the loss, make time to talk about the person and what you knew when you knew them. Let them tell their story. This is powerful. The decision to always remember doesn’t dictate how that will occur. For some it means that you will change your relationship with them, knowing that your belief in an afterlife allows you to feel and know their presence in a new way. Death will change the way you look at life and death. When my beloved sister, married to a Frenchman and living in Paris, passed unexpectedly, we were devastated beyond belief. She was the darling of our large family and we all treasured our communication and connection with her – now living in Paris and raising a family. This was long before the internet of communications existed. I was auspiciously leading a dolphin swim in the same city in Hawaii that my mother lived in. I was able to travel with her on the intensely long trip to Paris for the funeral. I also had two beautiful assistants who I had rewarded with the right to do the closing ceremony – since they had done such an amazing job all week! They knew something was about to happen, even though I did not. After returning from Paris after the funeral, I chose to close down my workshops for the next three weeks. Fortunately, I could afford to do this, and I felt I needed to devote time to my grieving since I was teaching spiritual workshops – and wanted to remain professional. I didn’t want to fall apart in the classroom because I was still in deep, deep grief. I was also given a number of miracles along the way that helped me break through. Every day I wrote, meditated, talked to friends and grieved. I listened to the second track on my CD, Mantras for Ascension, the Hebrew chant, a prayer for the dead, but seriously comforting to my psyche. Kadoish, Kadoish, Kadoish over and over. (This clears the field of anything that is not God.) I also played Adagio for Strings by Samuel Barber. You may have other comfort music. One day, my angels and guides came in and told me it was time to do a ceremony. I followed their instructions. I was to “call in” all my lost parts from the time I heard the terrible news, to being the messenger of the sad news to my mom, to the passport drama of not having my passport show up, even though my son had driven an hour to the airport near our home and hand delivered it to a ticket agent to give to a stewardess headed to Houston, to hold for me there so I could board the flight to Paris. That night, I instructed my Higher Self to go out to each of the various locations where I had told my story and cried. Each location was treated as a separate trip. I was aware all night long of my Higher Self coming in with a “lost part” and returning to get another one from a new location. Yet when I woke up, I was feeling really good! I was in a pattern where I woke up at 4:30 to go to the gym. I asked my Higher Self, shall I go to the gym? “No,” came the instant reply. NO? Well what am I to do then? My Guides replied, “You are to hold a ceremony where you wash your lost parts and integrate them into you. After the integration ceremony I received a call from one of the men who had been on the dolphin swim with me, and who had been calling me pretty regularly to see how I was doing. On this day he exclaimed, “Maureen, you sound all-together!” My reply was quick, “I AM all together,” and laughed. I realized that all my lost parts did not have to try to find me like a lost dog seeking his owner, but I had collected and integrated my lost parts. Later I was guided to recreate this ceremony for you, Soul Retrieval, this month’s free download. After the shock of ending my 25-year marriage to my four sons’ father, I went into grief! Even though I had pulled the plug, I still grieved. I asked my guides what I could do to pull myself out of this. They advised to start watching sunsets. This I did for a long time. It’s still one of my favorite things to do! Many years later I discovered a study that says watching sunsets can clear depression. Why? Because the person seeing the sunset knows the sun will rise again in the morning – and that we will get to do this all over again. Before my wise mother passed this year, she reminded all of us that life is for the living. Grieving doesn’t have to be done alone, it can and should be shared with loved ones and friends. Performing a soul retrieval for yourself after a big loss is one way to heal yourself and your planet. Please remember, when you leave a part of yourself behind it is a form of survival; there is no reason to condemn yourself or any other family member for doing this. Your clear intention while performing this retrieval will open up those links. Your memory of the event serves as one link to the location of a lost part. Being in the physical location is another way to it. How does the nostalgia come in? Memory resides in time and space. Traveling through time or space may access it. The coordinates exist in both time and space. So when you drive past the location of an old memory it can return, or if you think about the past and feel your emotion, it will take you to that time. In the movie, Somewhere In Time, actor Christopher Reeve provides us with a wonderful and dramatic portrayal of a man going into the past using the depth of his emotion to conjure old memories. You can physically travel to a place that has great sadness like battlefields and certain trails, like the Trail of Tears.. If you have a connection to it and openness to receive it, you will sense it. If you can feel it, you can help clear it by allowing it in your consciousness and allowing yourself to feel the sadness, and then hold the healing of it as well. After you feel the anguish, you process it, love it, and release it. This is true healing, which is the means to make whole. Healing is particularly important for families who may have had car accidents, major trauma, and other hugely significant trauma or drama. The incident’s coordinates in time and space usually lock it in place, and its link to you and your family make it accessible when you go to that place or visit it in time through your memory, or physically visiting the scene of an accident. 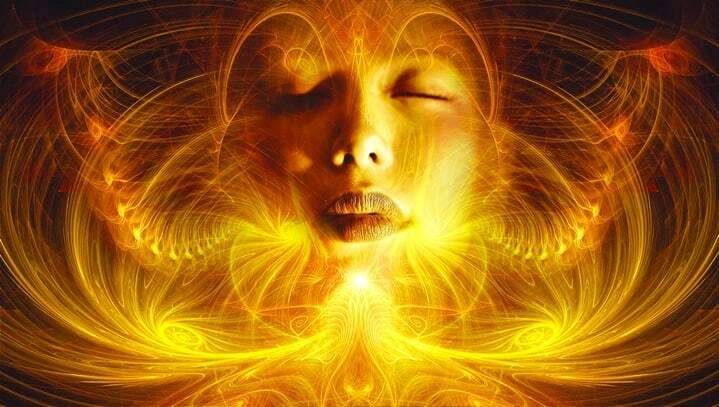 The purpose of soul retrieval is to reclaim parts of yourself that you may have broken off in order to survive. We purposefully break off pieces of ourselves much like an animal will chew a leg off that is caught in a trap in order to get away. These pieces can be anywhere. The rest of the download will help you reclaim your lost parts, tell you what to do and the ceremonies needed. This is a VERY special download! 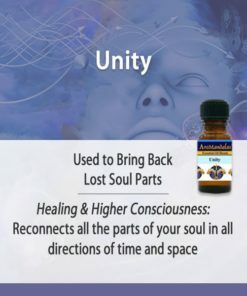 AroMandalas® is an amazing line of original essential oil blends. They were channelled by Mary Magdalene through our aromatherapist, and are used to intensify the quality of your meditations. Learn more about AroMandalas® here.